It seems that Microsoft scored high with their newly released Windows 10 OS. After the disaster with Windows 8, it seems that the American multinational technology company understood what mistakes they had made and released a fresh new Windows 10 that convinced most of the Windows 7 and Windows 8 users to upgrade for free. First of all, Windows 10 comes with the Start menu, which everyone had missed, but it also brought an interface that explains what’s new in it. Windows 8’s interface didn’t have this capability, but at least the system was faster than the Windows 7. However, because of the missing Start Menu, the Windows 7 users were reticent to upgrade to this version or to Windows 8.1. The Windows 10 is better in every way, but to get the best of it, you will need some tips and tricks. Below, we’ll give you a list of tips and tricks you can use to improve your experience. The Start Menu has been with us since Windows 95 was released 20 years ago. It seems that there are a lot of users who can’t stand a Windows that doesn’t have it, such as Windows 8. 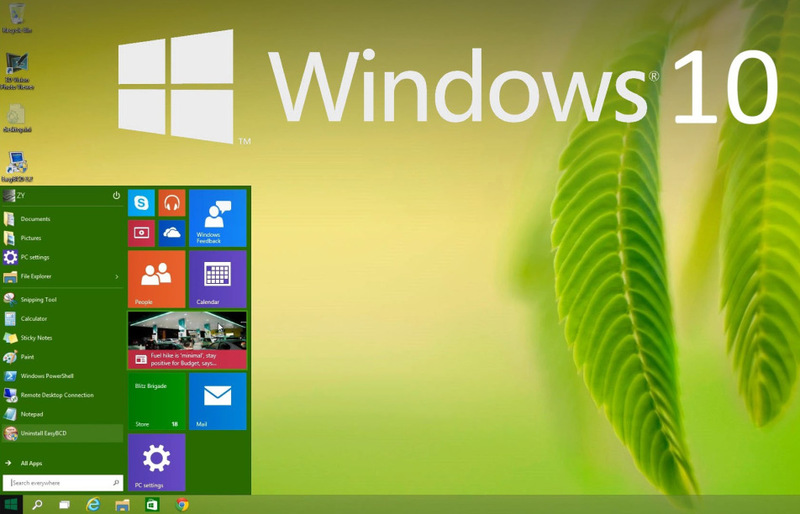 However, Windows 10 comes with the XP style Start Menu along with the tiles of Windows 8’s modern user interface. Some users will want more icons in there, while some will prefer none. In order to remove an icon from the Start Menu, you will just need to right click on it and select “Unpin from Start”. However, if you want to add a new icon to your Start Menu, you will just need to right click the application/file and select “Pin to Start”. You can even do more settings for the Start Menu by going to Settings->Personalization->Start Page. From there, you will be able to re-enable the full screen Start page or turn on/off recent application, recent groups, app suggestions and more. Windows 10 came with a voice response digital assistant that’s called Cortana. This intelligent assistant will learn from your usual habits such as: websites that you visited, the keywords that you’re searching for and many more. You can also use Cortana in the Maps application and even set it to remind you about a meeting that you’ve planned. Likewise Google Now, Cortana can also memorize a key phrase and in order to “wake up” the digital assistant, you will need to say “Hey Cortana!”. You will also need to give Cortana access to your email, messages, browser history and more, so that you can use it on all these applications. It is good to know that Cortana can also show your local sports, news, weather information etc. Cortana can even tell you a few jokes if you want to. Windows 10 comes with a new feature that allows you to create virtual desktops and open new applications on each one of them. In order to add one more virtual desktops, just click on the “Task View” button (located at the right side of the Start menu button) and click on the “New Display” button located on the bottom-right side. In order to switch between the virtual desktops, you will need to click again on the “Task View” button and select the virtual desktop that you want to work on. It seems that there are not many people using the new modern email client that was included in the recent versions of Windows. The email client that comes with Windows 10 is even better, as it offers you collapsible conversation view with email preview panel. In addition, the client also integrates buttons for the contacts applications and the calendar. It is surely an awesome email client, which will allow you to schedule your future meetings with ease. In addition, you will be able to add two or more accounts from any provider. – Windows key+Arrow keys (left,right,up,down): this command will resize and move the application that you are currently on to the left, right, up or downside of the screen. – Windows key+Tab: this will open and leave the “Task View”, showing you how many applications you have open, allowing you to select one of them. There are a lot more commands in Windows 10, but we will let you discover them by either using the Windows Key+random keys or by doing a simple Google search. 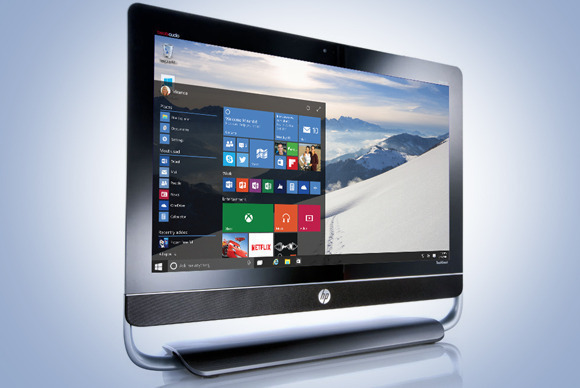 Have you installed Windows 10 on your computer yet? Tell us your thoughts about this newly released Windows OS!